It's official: "The Mountain" of "Game of Thrones" fame is not just the strongest man in Westeros, but the World's Strongest Man, period. 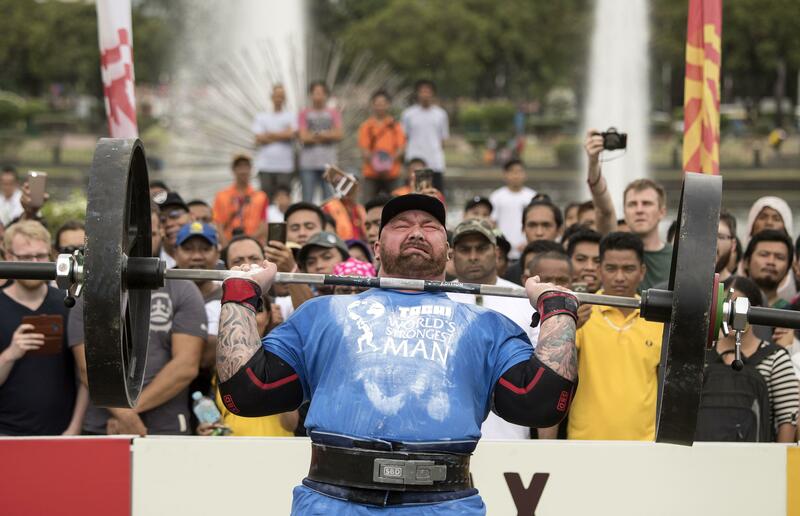 Actor Hafþór Júlíus Björnsson, also known as Thor, won the World's Strongest Man contest in the Philippines on Sunday in his eighth attempt. In order to win the title, Björnsson had to complete in several events: The car deadlift, max overhead lift, loading race, truck pull, frame carry and atlas stones. He took first place in the car deadlift, max overhead and loading race; he took second place in the truck pull, fourth in the frame carry and fifth in the atlas stones, reports CBS Sports. Björnsson is no stranger to the World's Strongest Man competition. In the past, he's won three second-place titles and three third-place titles. This year, Brian Shaw, who was the World's Strongest Man in 2011, 2013, 2015 and 2016, finished in third place, while last year's winner, Eddie Hall, did not compete. This year marks the first time since 1996 that a competitor from Iceland has won. Though many fans know him from his turn as Gregor "The Mountain" Clegane on "Game of Thrones," where he acts as Cersei Lannister's hulking bodyguard, Björnsson only joined the show in 2013 as the third man to play the character. He has been taking part in the World's Strongest Man competition since 2011. Björnsson has not let his Hollywood aspirations get in the way of his strongman career. He set a new deadlift record in March at 1,041 pounds and won the Arnold Strongman Classic. He also won Europe's Strongest Man for the fourth time and second consecutive year. If you want to watch Björnsson's impressive feats, CBS and CBS Sports Network will air the competition in its entirety starting June 10.